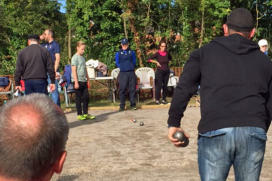 The Heart of England Pétanque Association is one of 16 county regions affiliated to Pétanque England Come and join us - pétanque is a great sport for all the family. 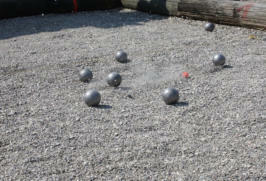 The “Play Pétanque Page” provides the rules of the sport and tips on pointing, shooting and much more. 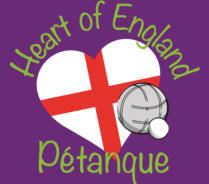 The Heart of England Pétanque Association one of 16 county regions affiliated to Pétanque England Come and join us - pétanque is a great sport for all the family. There are a number of non-affiliated clubs within the HoEPA region. Some confine their playing to internal social pétanque. 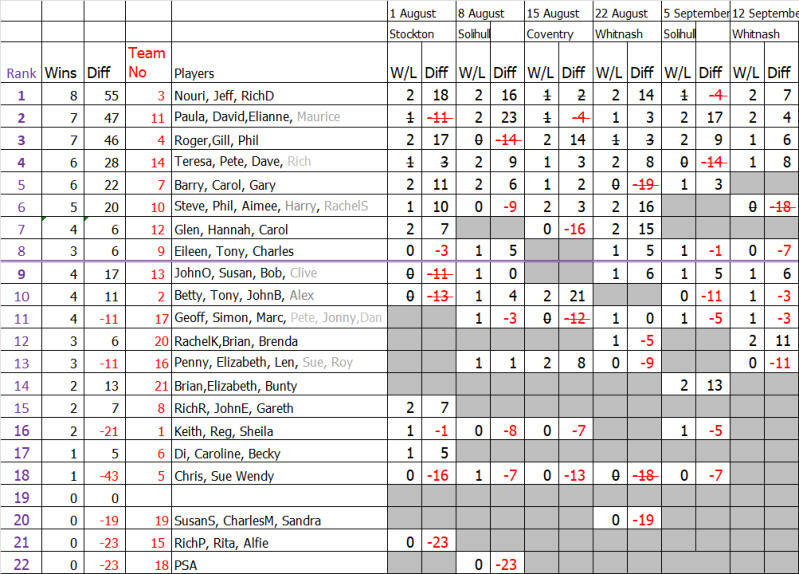 Some others have formed groupings that play in local inter club competitions during the summer months. We are always keen to be made aware of these clubs and to offer our input from the region. Our wish would be to see these clubs join the wider pétanque family and derive the benefits of PE membership for both the club and their members. One of the main aims of the HoEPA is to encourage member’s to continually raise their skills in all aspects of the game. To help promote this development, there is a continual programme of coaching both within the clubs and at a regional level. It is by developing our member’s skills that we can compete successfully in regional competitions and see some of our members achieve national standards. 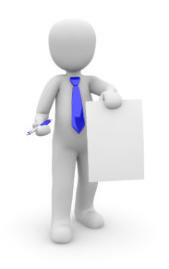 The HoEPA aim is to have at least one PE qualified “Club Coach” in each club. Another important aim is to attract the next generation of players - they are our future. 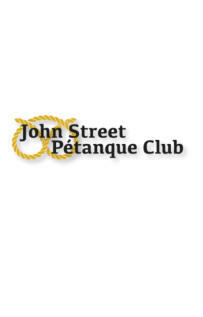 All the clubs in the region are keen to encourage new junior members and to help them enjoy the sport of pétanque. 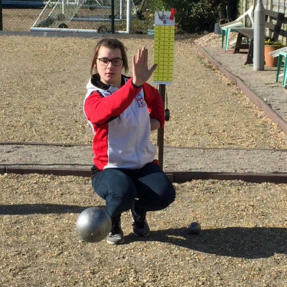 Pétanque is a game for everyone. 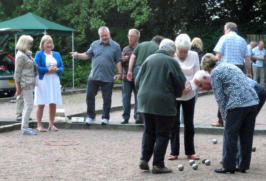 Sometimes referred to as French Boules, it can be a competitive sport for those who enjoy playing it seriously but can also be enjoyed socially with friends and family. 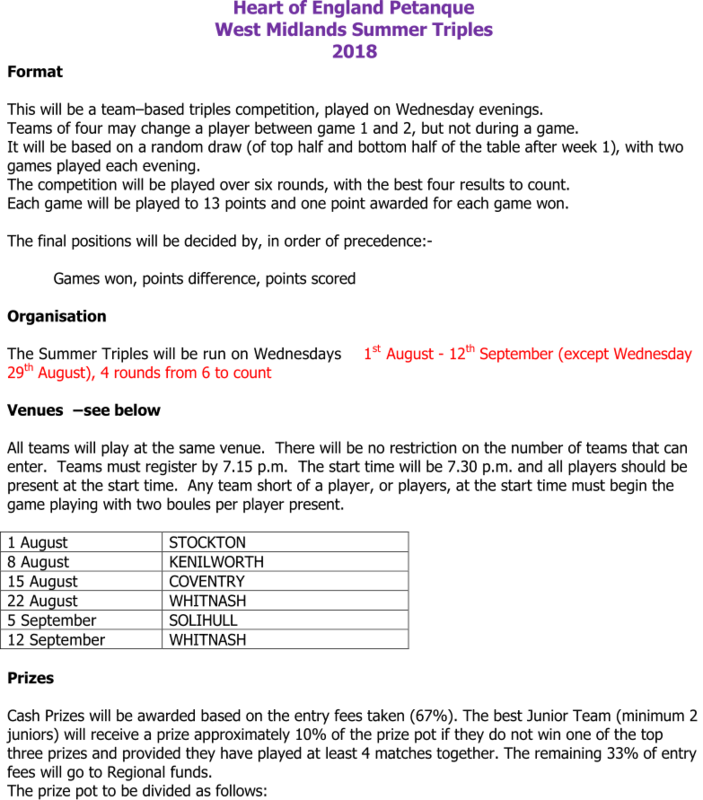 The HoEPA structure means there will be a club near you that you can visit to find out more about the game and try it for yourself. Our members will be happy to welcome you and your friends to their club and help you get started. So go to the “Find a Club” page and arrange a visit to a club near you. 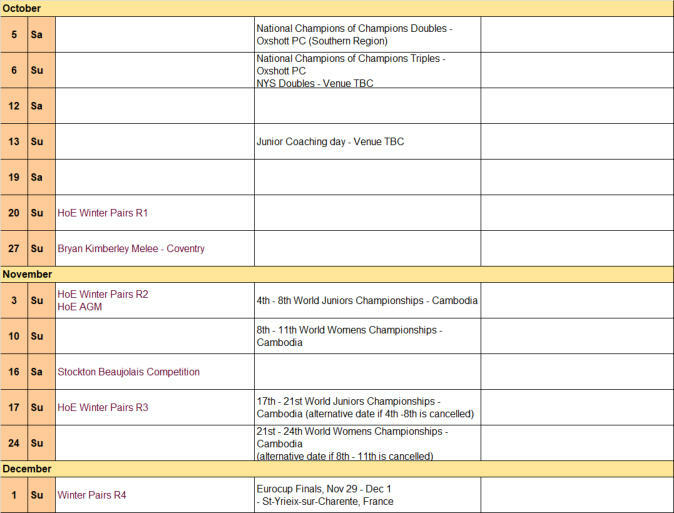 There is an extensive programme of competitions played within the HoEPA. 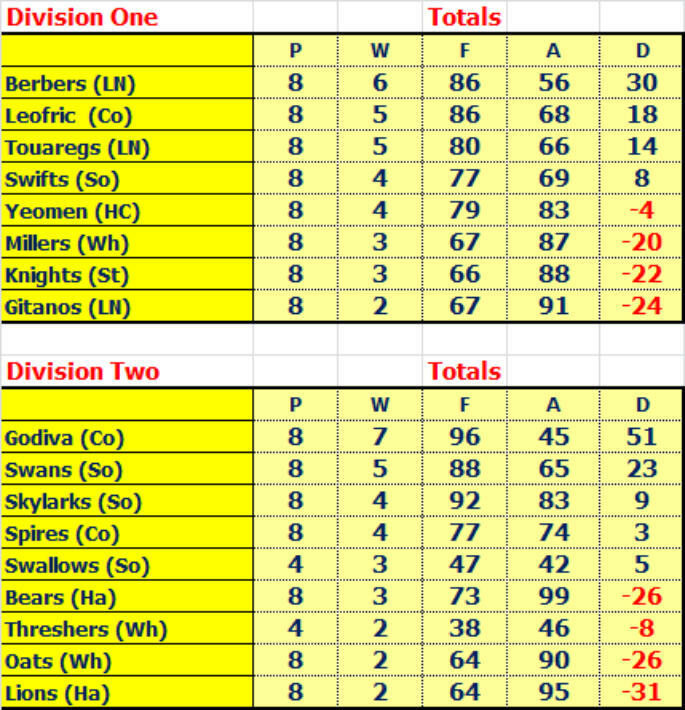 Most clubs have internal leagues that are open to all their members. 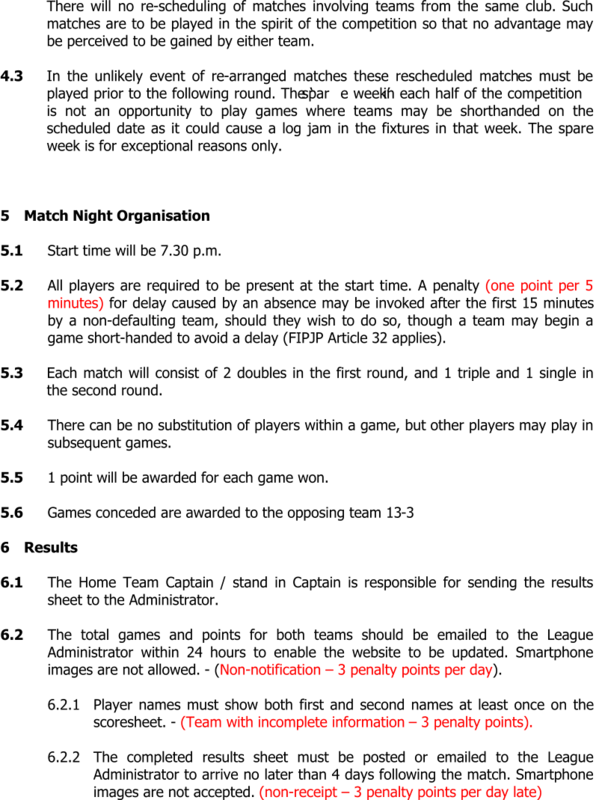 For the club’s PE members there are regional singles, doubles, triples, and shooting competitions held throughout the year. 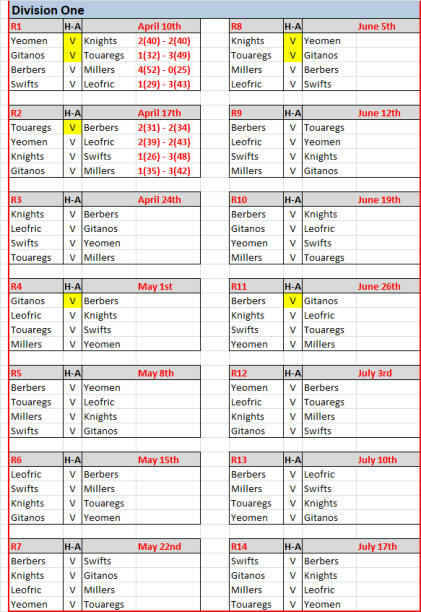 There’s also an inter club league and for players wishing to extend their game, the opportunity to qualify to represent the region in various competitions. Most notably, the Inter-regional Competition organised by PE each September, in which the HoEPA currently play in the first division. 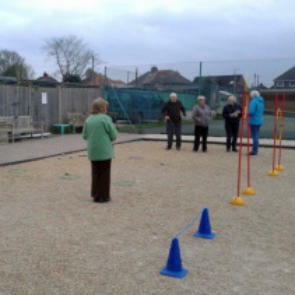 Find your nearest PE affiliated pétanque club in the Heart of England Pétanque Association region. 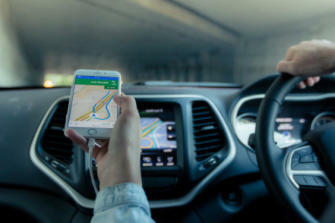 get directions from “Information Zone” page. A list of (non-affiliated) clubs in the Heart of England Pétanque region that play in the Marches Pétanque League. SVPL playing venues - contact. 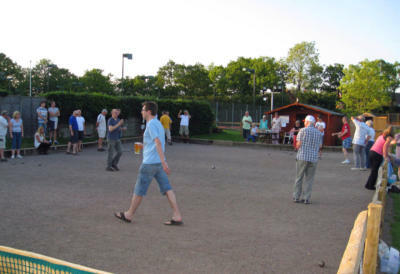 Coventry Pétanque Club is based at the Burnt Post in Coventry The pub offers an excellent range of real ales and serves food until 10 pm. 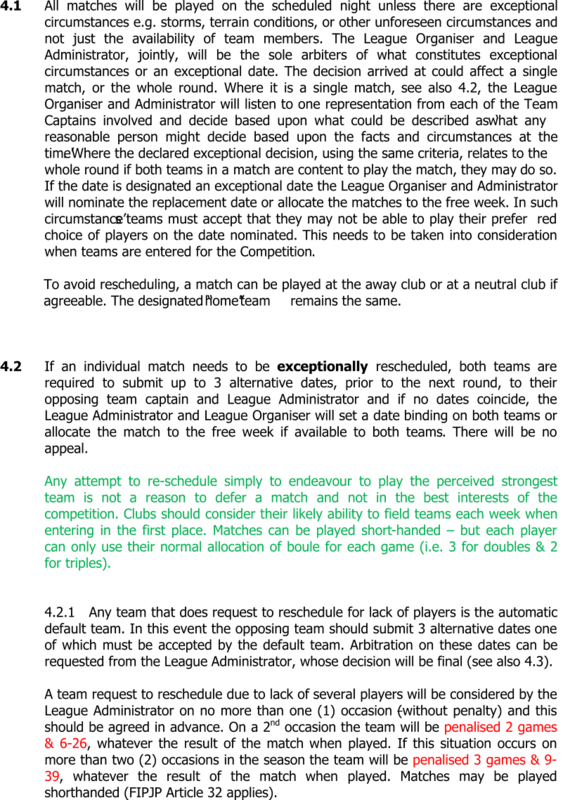 Our terrain which lies behind the pub, has eight lanes and floodlighting, which allows play through the year. We cater for players of all levels and offer support to beginners. We organise a large number of social games and also enter teams into regional and national competitions. 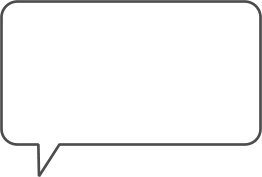 Members of the club coach and play at national and international level. We are always keen to attract new members of all ages, especially younger ones. Contact us via the details below or use the contacts form on our web site. We would be pleased to welcome you and your friends to the club. 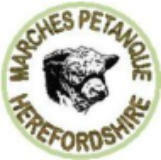 Hereford PC exists to allow members of the Marches Petanque League > to participate in PE events. 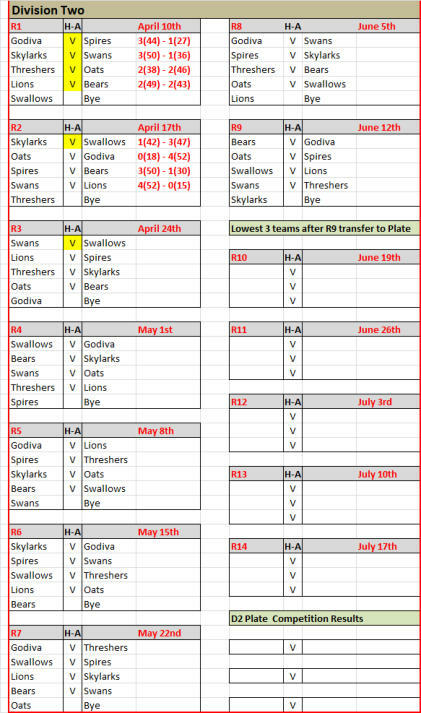 We play locally in pub-based teams on Wednesday evenings in the summer and on alternate Sundays in the winter. we have a range of terrains within the locality; perfectly flat and smooth; slow with very deep stone; one terrain is fondly known as the north face of the Eiger! 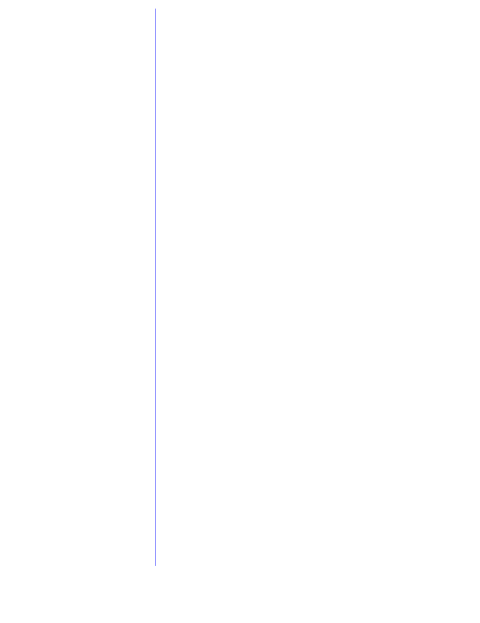 Some are simple two-piste terrains whilst others have up to 12. 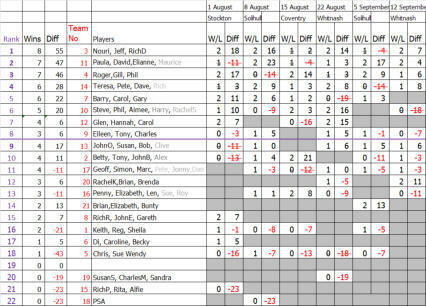 We host Heart of England events throughout the year as well as holding an annual charity doubles competition. 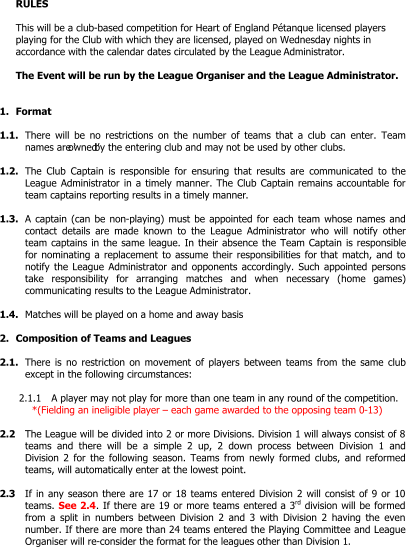 All players are welcomed and teams are happy to accommodate any level of experience and skill - or lack thereof. 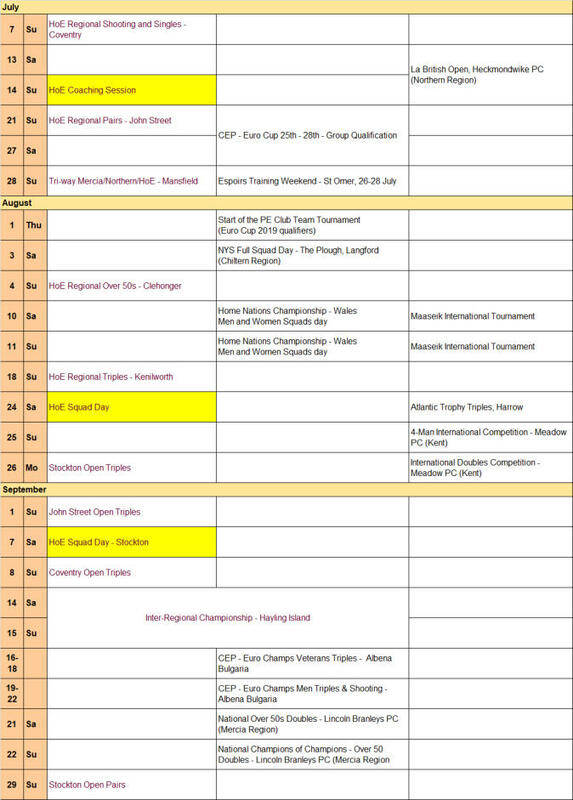 Whilst there is no central venue, each team has its own practice sessions and we are hoping to run coaching sessions at a range of local venues in 2017. All further enquiries can be addressed to club secretary, Melanie Williams. The club is located in Knutton village, close to Newcastle-Under-Lyme, Staffordshire and is adjacent to Knutton Ex-Servicemens club (entrance to terrain via John Street) and has a free council car park in front of the club. At present we have eight playing lanes and have just started to construct another eight or nine lanes. We are able to use the facilities at the Ex-Servicemens club, bar, toilet etc. On competitions days we always provide tea/coffee and a BBQ. We would be delighted to welcome all players either newcomers or the more experienced, and all age groups or abilities. Equipment is available to get you started and our friendly members would be more than happy to lend a hand on rules of the game etc. 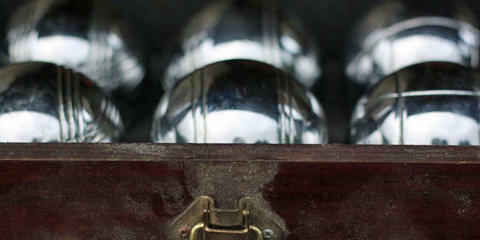 We provide the opportunity to play boules for both leisure and competitively. We play all year round and newcomers and experienced players are always welcome. Where necessary we can provide loan boules, instruct you in the rules of the game and ensure that you have an interesting visit, whatever your age. 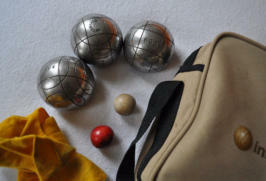 We are a newly formed club and our aim is to provide pétanque facilities to residents of the South Staffordshire area. 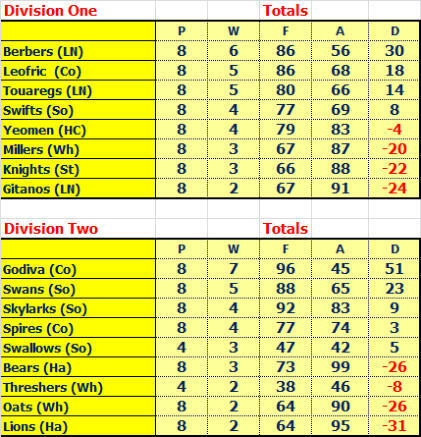 Currently our membership is around 10 players and we hope to increase that to 20 as the season progresses. So all are welcome, regardless of experience. 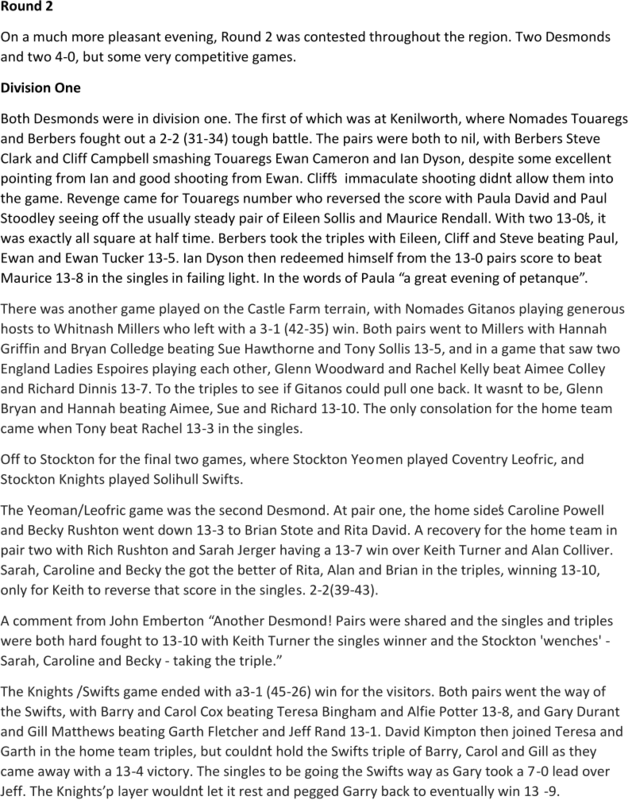 You may have just played on holiday or you may have played elsewhere, we would love to see you. Better still bring along a friend. Solihull Pétanque Club is based at the Blossomfield Club and is the home of French Boules in the South Birmingham area. 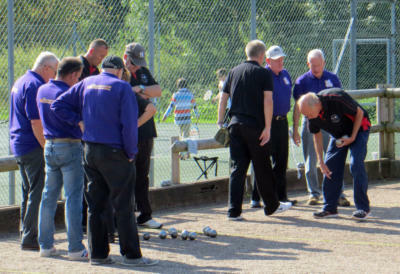 We are affiliated to PE (Pétanque England) playing boules socially and competitively throughout the year, and are active participants in the Heart of England summer league. Come along, whatever your experience. Perhaps you’re a competitive player or maybe you’ve just played on holiday – all are welcome and loan boules are freely available. 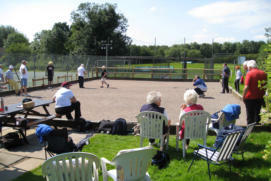 Solihull Club de Pétanque was founded in September 1981 and achieved affiliation to the National body the following year. It became a fully integrated section of the Blossomfield Club when it moved to the Widney Lane site in 1996. 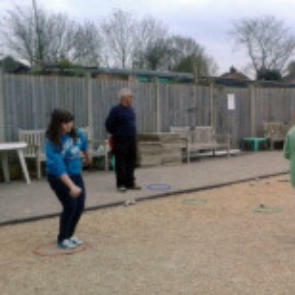 We play boules on two purpose built terrains. 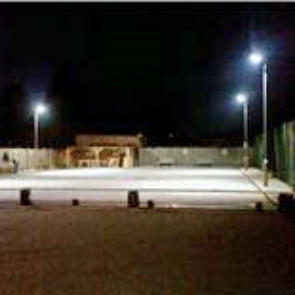 The primary terrain is floodlit and can accommodate 12 teams (six lanes) in comfort. It also provides full wheelchair access. When hosting larger events the second terrain extends our capacity to 24 teams. Our aim is to provide facilities that are amongst the finest in the West Midlands Pétanque region. 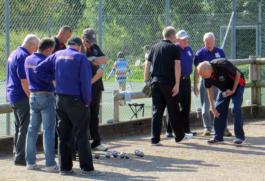 If you want to try pétanque for yourself, come along to one of our club days - all are welcome. 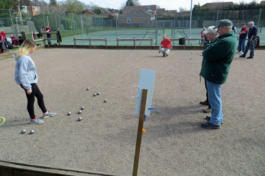 Stockton Pétanque Club is based in the village of Stockton (near Southam) Warwickshire. Our purpose-built terrain is located at Stockton Football and Cricket Club and currently comprises eight playing lanes although we have plans to expand this to 16 lanes. Our club-house has excellent facilities including a bar and function room. We play on Saturday afternoons from 1pm in the winter and 2pm in the summer and welcome newcomers for come and try sessions. We can lend you some boules, instruct you in rules of the game and ensure that you have an interesting experience, whether you are 8 or 80 years old. Whitnash Windmill Pétanque Club is based at the Whitnash Sports and Social Club, near Leamington Spa in Warwickshire The club enjoys a purpose built 17m x 30m terrain, comprising 12 pistes, with excellent flood-lighting enabling play all year round for its very friendly and competitive, but sociable, membership. Alongside our weekly club sessions every Monday starting from 7.00pm, we also organise several events each year for our members to enjoy, including weekly leagues, handicaps, championships and open competitions, providing something for players of every standard to enjoy. 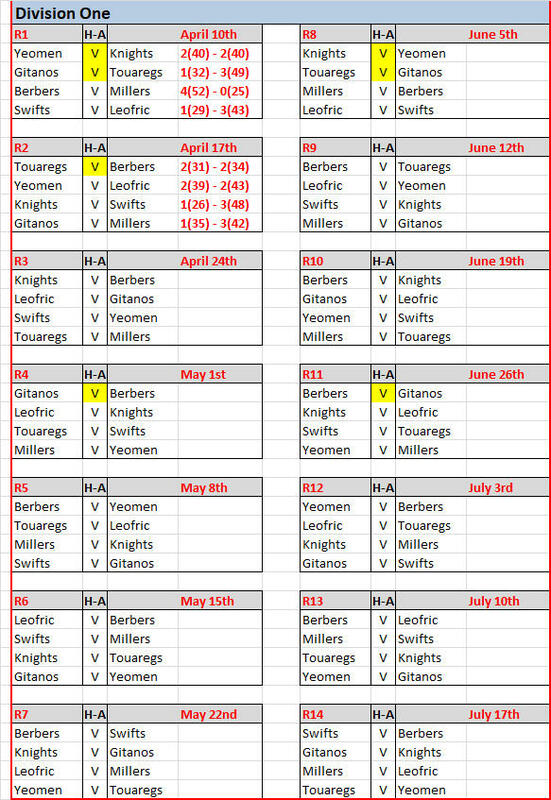 Members are encouraged to compete in regional and national competitions and the highlights of our club playing calendar are undoubtedly our two open competitions in spring and summer which attract players from outside our region, and also more recently teams from Whitnash’s French twin town, Villebon- Sur-Yvette. The Club’s very pro-active and dedicated committee work hard to maintain the standard of our terrain and the smooth running of the Club’s business and playing activities, always striving to improve our facility for the benefit of our members, such as the recent acquisition of our own coaching equipment. Whitnash is proud to enjoy an excellent relationship with PE and have been honoured to host some of the country’s most prestigious competitions, and it is always a pleasure to welcome new members and visitors to our club. Whitnash Windmill Pétanque Club is based at the Whitnash Sports and Social Club, near Leamington Spa in Warwickshire The club enjoys a purpose built 17m x 30m terrain, comprising 12 pistes, with excellent flood-lighting enabling play all year round for its very friendly and competitive, but sociable, membership. Alongside our weekly club sessions every Monday starting from 7.00pm, we also organise several events each year for our members to enjoy, including weekly leagues, handicaps, championships and open competitions, providing something for players of every standard to enjoy. 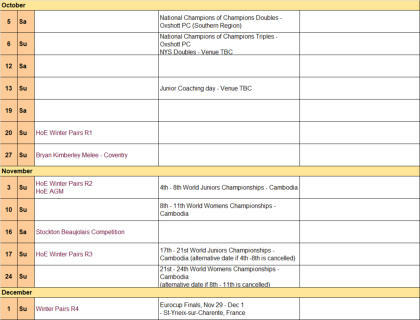 Members are encouraged to compete in regional and national competitions and the highlights of our club playing calendar are undoubtedly our two open competitions in spring and summer which attract players from outside our region, and also more recently teams from Whitnash’s French twin town, Villebon-Sur-Yvette. The Club’s very pro-active and dedicated committee work hard to maintain the standard of our terrain and the smooth running of the Club’s business and playing activities, always striving to improve our facility for the benefit of our members, such as the recent acquisition of our own coaching equipment. Whitnash is proud to enjoy an excellent relationship with PE and have been honoured to host some of the country’s most prestigious competitions, and it is always a pleasure to welcome new members and visitors to our club. 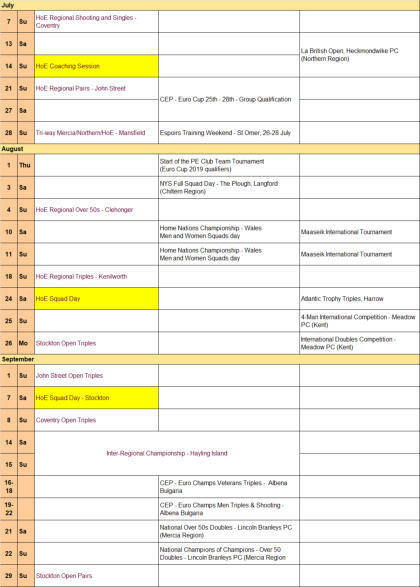 The HoEPA playing calendar provides a list of the regional and national competitions which are usually restricted to PE licenced members. 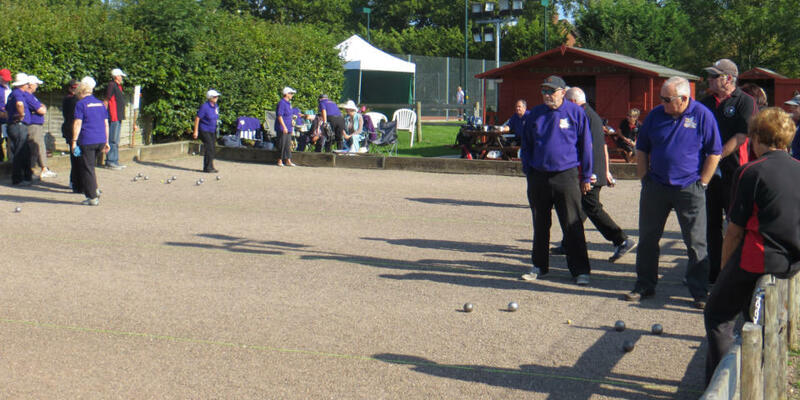 However there are many other opportunities to play pétanque organised by our clubs, most of which are open events. So why not join in! 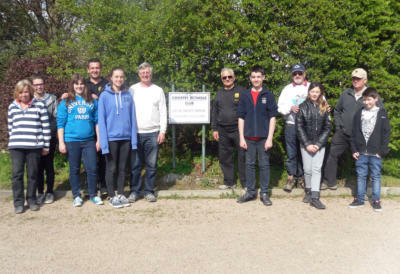 Coventry (monthly) Coventry PC run a Saturday morning club for social Pétanque on alternate weeks, commencing April 6th 2019. This is open to all comers, whether experienced or not. We start at 10 am and finnish at noon. First Friday evening of every month is also an open melee, this time the format is 3 games of 7 ends and the entry fee is £1, usually with a bottle of wine , choccolates or biscuitesfor the winner. 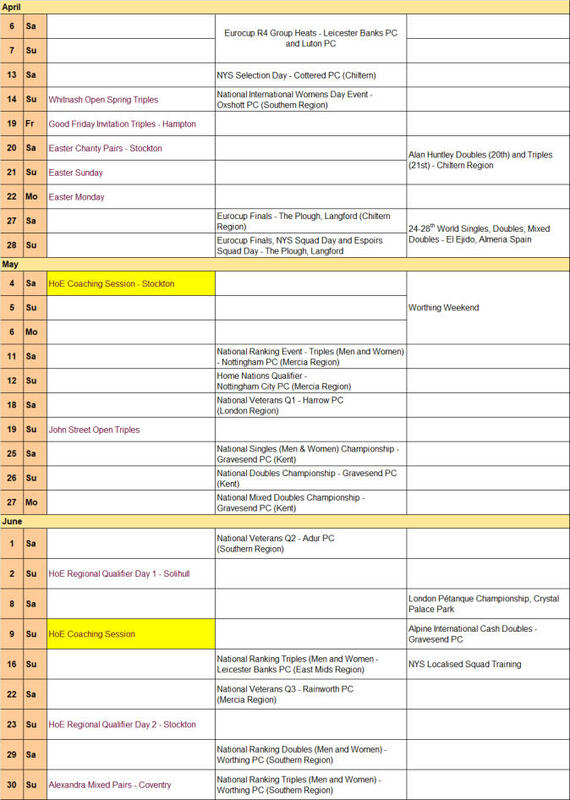 Stockton (monthly) Stockton run an open melee on the first Saturday of the month, registration from 1:30 pm for 2:00 start. 3 rounds, entry fee £3 pp. 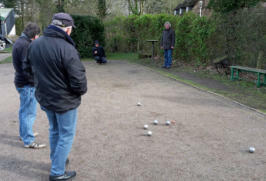 Coventry (monthly) Coventry PC run a Saturday morning club for social Pétanque on alternate weeks, commencing April 6th 2019. This is open to all comers, whether experienced or not. We start at 10 am and finnish at noon. 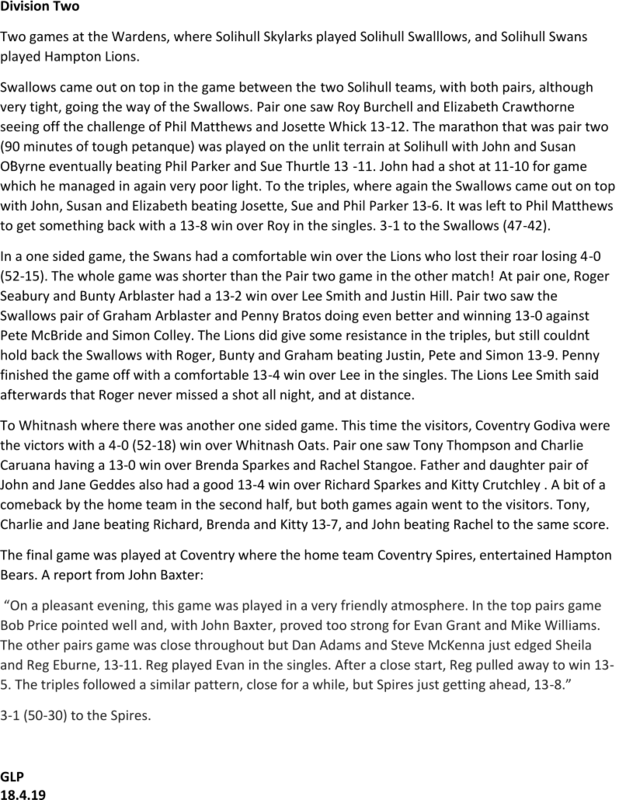 First Friday evening of every month is also an open melee, this time the format is 3 games of 7 ends and the entry fee is £1, usually with a bottle of wine, chocolates or biscuits for the winner. 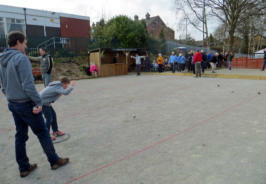 Play Pétanque - this page includes the rules of pétanque, some video and tips on pointing, shooting and much more. 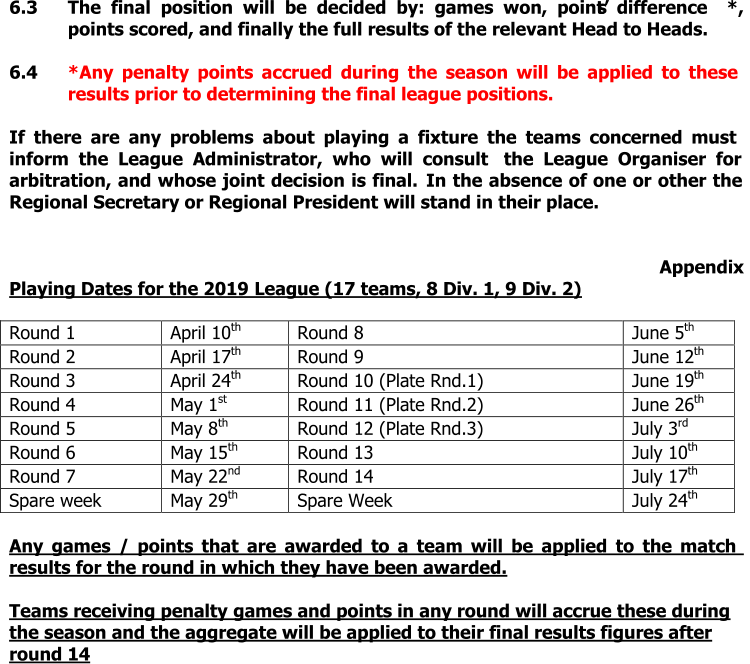 As with any sport, the important starting point is to know the rules. 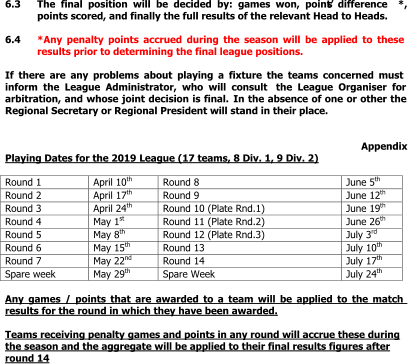 The official rules are set by the FIPJP and were last updated in December 2016. 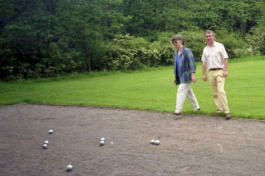 The modern game of pétanque has its origins in France and as you travel through the French countryside you will find the game being by played by people of all ages. Just about every community will have their terrain in the square, the park or by the roadside. 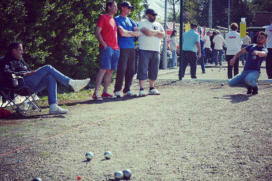 However pétanque is now a truly global sport. It’s a very inclusive sport. People of mixed skills, fitness and age can play equally together. 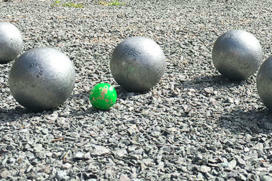 As long as you can hold and throw the boule you can enjoy playing pétanque. All the HoEPA region clubs welcome new members and most can offer loan boules and the opportunity to come and try the sport for yourself. Better still bring a friend. 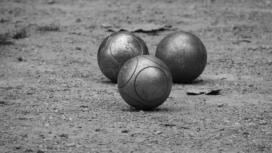 Here are some links to information sheets that will help you play pétanque. How to play pétanque - a basic guide to how the game is played Get a grip - if you hold and throw the boule correctly, everything is so much easier. 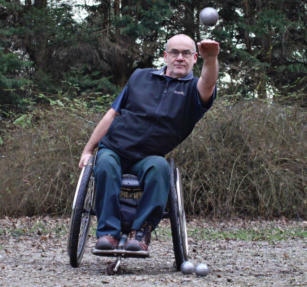 In a spin - once you master pointing, you can learn to swing the line of the boule. 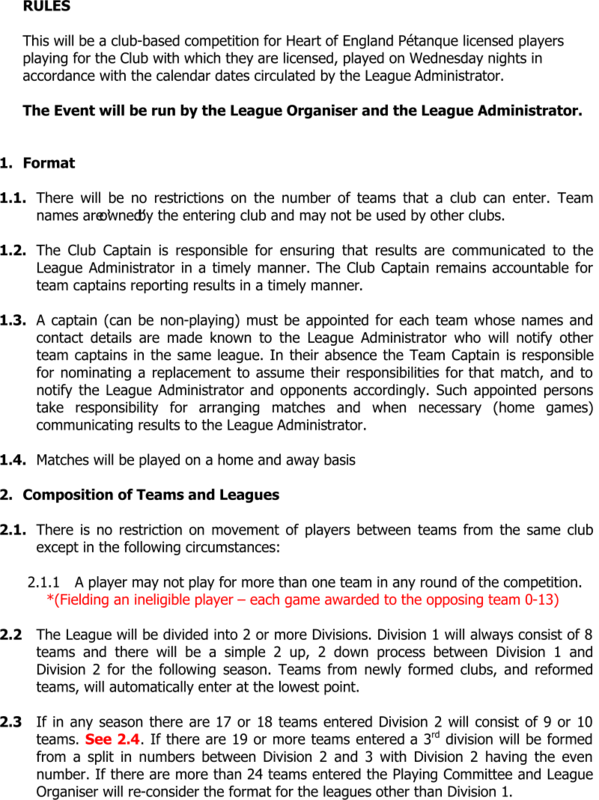 How to play better teams - even when playing better players, good tactics can help level the game.  The Heart of England Pétanque Association The Information zone is a document index page. Get competition rules, copies of documents and directions to playing venues and clubs. Just follow the links below.